Housing is the most important issue for Londoners in the upcoming mayoral election, a new poll indicates. It represents a shift from the 2012 election, when Londoners placed housing fourth after jobs, crime and transport in a similar poll. Fifty-six per cent of those polled said housing was one of the most important challenges facing London. Immigration (38%), security from terrorism (26%) and healthcare (23%) were among the other top issues. The poll of 2,062 adults was carried out by ComRes for BBC London. The survey suggested the average price considered affordable for buying a two-bedroom house in London is £208,000 - and the average price considered affordable for renting is £646 per month. The actual average figure for a terraced house in London in 2015 was £569,000, according to the Office for National Statistics. Figures from the Valuation Office Agency show the median monthly rent in London was £1,400 in the year 2014-15. In 2015, 24,620 new houses were completed in London, according to the Department of Communities and Local Government. 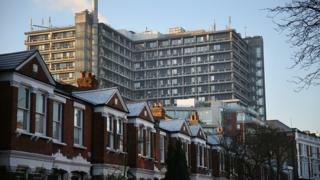 Lib Dem Caroline Pidgeon wants to retain the Olympic Precept at £20 per year and convert it into a "housing precept". In the poll respondents were also asked how important candidates' gender, sexuality, race, age and class were in deciding who to vote for. The majority of those polled said these demographics were not important, although of all the categories tested, Londoners were most likely to say social class was a factor. Adam Ludlow, senior consultant at ComRes, said: "While this poll could not be compared directly to the one carried out four years ago, the relative shift in the priority given to housing would seem to suggest people see it as more important now." He added there were some differences between the views of those in inner London and outer London. Sixty-five per cent of those in inner London regarded housing as one of the most important issues, compared with 45% in outer London. Immigration was more of a concern for outer Londoners with 42% classing it as important compared with 31% of inner Londoners.